The main work will the Symphony No. 103 in E♭ Major. Whose Symphony No. 103? 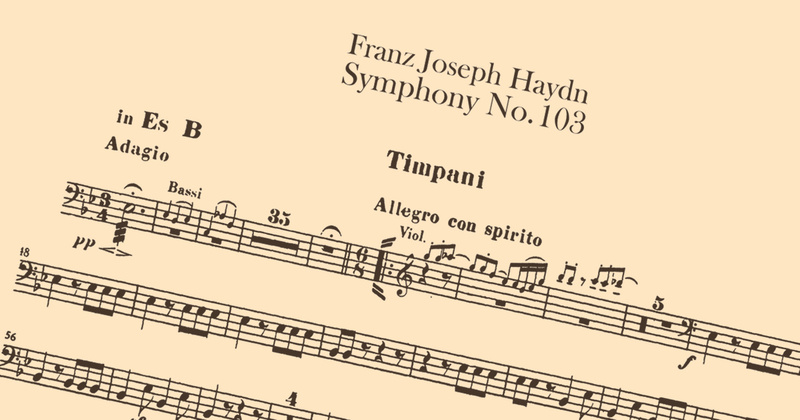 Only one composer to date has written 103 different symphonies, so it must be Joseph Haydn. The camp will run from the afternoon of 6th July 2018 (Friday) to 8th July 2018 (Sunday). Other details may be found on the Winter Orchestra Workshop page. To apply, use the new Winter Orchestra Workshop Application Form.